Psssst! Have you heard? We’re doing a juicy webinar about creating posts that pay! Entry is by donation and all proceeds go to FLYTE. Learn more here. Slayers, it’s the most wonderful time of the year……. I always get excited about Black Friday and Cyber Monday, not because of things like cheap TVs or discounted clothes – instead, it’s the one time of year I go ham with INVESTING IN MY BUSINESS (remember, this is important) through the procurement of amazing resources at criminally low prices. Fact: Black Friday/Cyber Monday is THE best time for bloggers because pretty much all the resources we need go on sale at an epic discount! I’m talking web hosting, themes, courses, camera equipment, and all sorts of things you need to grow your blog. Since I’m a massive nerd, I’ve compiled a list of the best Black Friday/Cyber Monday deals for bloggers. I feel like especially this year, we’ve been inundated with offers so I’ve tried to keep things simple and pick the best of the best: the totally unfathomable STEALS that will make you feel like a class A thief. 6. Add shoppable links into your blog’s images for only $49?!?! I waited until the day-of to publish this post because most of the best Black Friday deals are flash sales that happen for 24 hours or less. Below you’ll find some hot deals that are currently valid, and might sell out soon, so grab your credit card and run, Forrest, run. 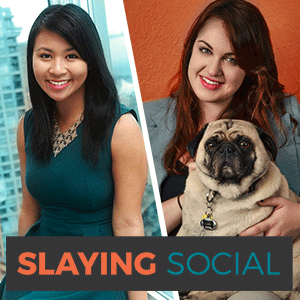 Deal: 20% off any of our courses AND you get either our Slaying Social Strategy Course OR Slaying Social Blogger Toolkit for FREE (your choice!) 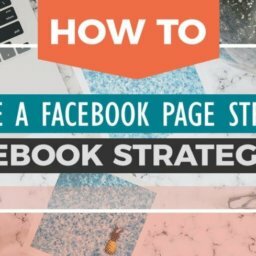 Use the code BFTOOLKIT20 (if you want the toolkit) or BFSTRATEGY20 (if you want Slaying Social Strategy). For this Black Friday weekend, we’re offering 20% off any of our courses (browse the selection here). As an added bonus, we’ll be giving you a special gift for this weekend only! 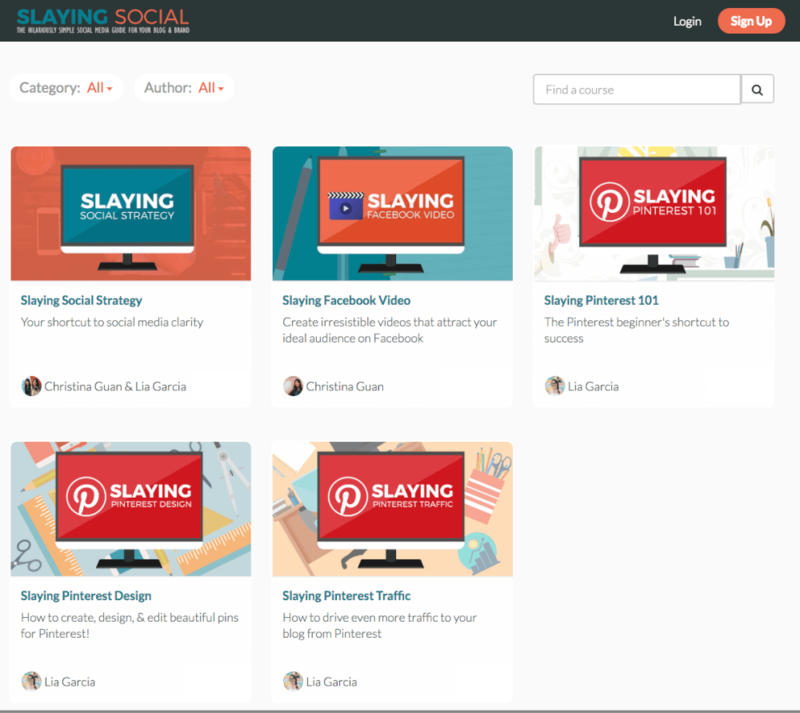 Buy a course of ours and you have your pick between our Slaying Social Strategy Course OR Slaying Social Blogger Toolkit for FREE. 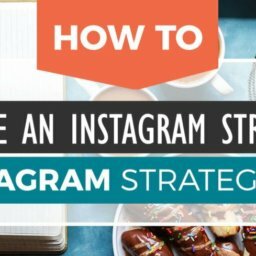 To redeem, Use the code BFTOOLKIT20 (if you want the toolkit) or BFSTRATEGY20 (if you want Slaying Social Strategy) when checking out. We’ll then be in touch next week with a free coupon code for you to claim your gift! Why should you get this even if you take your own photos? If you’re like me, you haven’t always been a travel blogger, which means you have a LOT of trips with terrible photos to show for them. Using these professional stock photos is an excellent way to ensure that your articles have high quality visuals to go with them (or at least a badass Pinterest graphic!) and that you’re covered to use them for commercial use on your blog. At 50 cents per photos, this is a no brainer. Basically you get a voucher code good for 100 photos for $49, AND you can buy as many as you want… I might buy multiple. Click here to grab this deal before it expires! 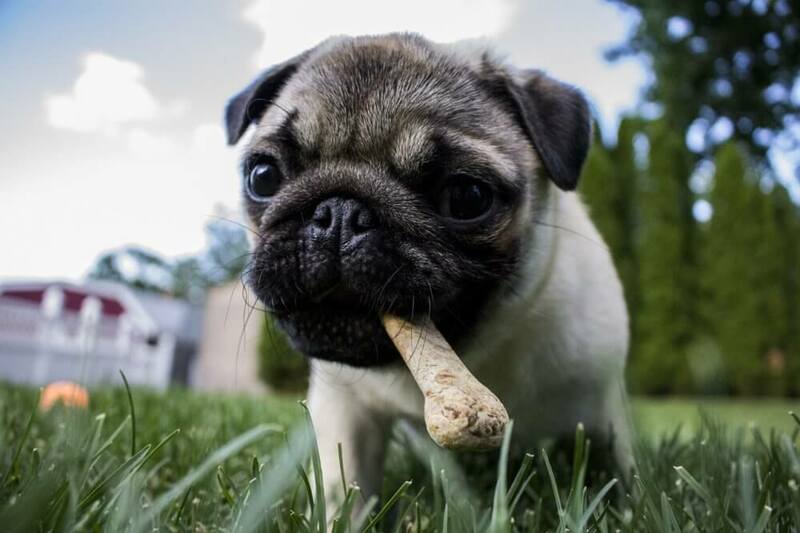 Also, slayers, just so you know, with this subscription I’ve bought comes plenty of high quality pug visuals for Slaying Social’s future content. LOOK AT ALL THE OPTIONS! Deal: Get ALL the Adobe Creative Cloud apps (like Lightroom, Photoshop, Premiere and more) for $39.99 a month (usually $52.99 a month) Click here to check it out! Adobe’s apps aren’t cheap, but they’re incredibly powerful tools used daily by countless professionals to create polished content. If you are looking to take your content to the next level, whether that’s your photography, graphics, videos or whatever else, you should really seize this opportunity to upgrade. Adobe apps are usually pretty expensive (I pay $20 a month for Premiere ALONE, and also Lightroom + Photoshop on top of that). For Black Friday only, you can score ALLLL their apps for only $39.99 a month. Click here to learn more. One commonly overlooked Black Friday special for bloggers is they’re so busy stocking up on services and digital products that they forget: woah, this weekend is probably THE best time to stock up on the essentials of content creation, like SD cards, cameras, etc. Here are some of the most relevant deals I could find. Keep in mind, Black Friday deals on Amazon are CONSTANTLY changing so be sure to keep checking back, or nab the deal ASAP if you find a good one. Once they’re gone, they’re gone. SD Cards up to 70% off: I don’t know about you, but I’m constantly blasting through SD cards so I plan to stock up this Black Friday, with deals are wild as 400GB cards for only $80. Click here to browse the options. Sony Cameras & Gear for hundreds of dollars off: Lia and I both switched to Team Sony this year and haven’t looked back! I’m seriously in love with their cameras and it looks like they’re slashing prices by the hundreds this year in honour of Black Friday. Click here to browse the sales items. Computers and laptops for hundreds of dollars off: I’m not sure if you’re in the market for a new computer or laptop, but if you are, the time to buy is now! I’m seeing lots of super good value deals where you can even nab a laptop at half price. Click here to see the active Black Friday deals on computers and laptops. DEAL: 75% off shared hosting plans (plus free site transfer). Click here to get it! Not self-hosted yet? This is the weekend to do it. Prices are the lowest they’ll be all year! For beginners with views less than 100k, Siteground is my top recommendation. I was with them for years until I decided to upgrade to managed hosting with BigScoots (also amazing, but pricier!) I wholeheartedly recommend Siteground because the customer service is 24h and absolutely amazing, plus my site loaded much faster as soon as I went with them. Not only are they doing 75% off their shared hosting plans for Black Friday/Cyber Monday, but they also offer free site transfer too so if you’ve been meaning to switch hosts or go self-hosted, do it now! DEAL: Lifetime access to Vistag for only $49. Click here to steal the deal! This one is pretty mindblowing. DISCLAIMER: I haven’t personally used Vistag yet, but I’ve already bought myself a subscription and I can’t wait to test it out. Long story short: you know those shoppable links you see on Instagram that let you click on a picture and it shows you the products in it AND THEN brings you to their sales pages? This is a tool that does that for your BLOG and it’s only $49 today for Black Friday! Imagine being able to link to all your clothing items and gear in your blog through shoppable images. That would be super unbelievably powerful for affiliate marketing. I’m stoked just typing this. Click here to grab the deal off AppSumo – it’s only valid TODAY on Black Friday! Deal: $10 eCourses + a FREE course on Cyber Monday. Click here to steal the deal! For those of you who are still unsure though about the value of courses, get your feet wet with Udemy. They have an incredible collection of eCourses on sale this Black Friday for $10 USD. Seriously, only 10 bucks, and they’ll even give you a free one on Cyber Monday too if you buy today. It’s so ludicrously cheap, I don’t even know what to do with myself. 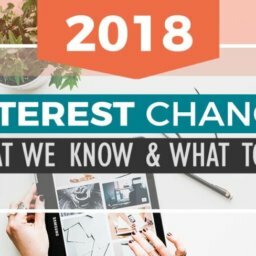 Whether you’re wanting to learn about SEO, graphic design, photography or whatever else (they even have lifestyle courses! ), now is the time to grab a course for a fraction of the cost. Click here to browse. Deal: 40% off on Keysearch plans with the code BLACKFRIDAY. Click here to steal the deal! If you don’t have Keysearch yet, GET IT. Seriously. There are no words for how much Keysearch has helped my blog! If you want to get into video but are scared of spending too much on pricey subscription software (*shakes first at my $20 a month Premiere subscription), then this is a wonderful cheap alternative that gives you access to a slick video editing program for a one-time payment of $49. I don’t have personal experience with Filmora, but many creators swear by it and say it has all the functions they need to create things like vlogs, Facebook promo videos, etc. It may lack the customizability and sophistication of “professional” programs like Premiere, but honestly how often would you make use of all the super fancy features anyway? To tell you the truth, I am very very very tempted by this offer, although part of me clings onto Adobe Premiere because I still think I may one day become some kind of Oscar winning professional cinematic editor. If you want an intuitive and inexpensive option for video editing though, click here to grab your lifetime subscription of Filmora for only $49. Lia and I both sing the praises of ConvertKit, an email service provider that is (admittedly) super expensive but offers incredible features if you’re looking to create a sophisticated set-up that helps you cultivate relationships, automate affiliate income/sales and more on autopilot. ConvertKit doesn’t usually do sales, but this year for Cyber Monday only, they are offering their Creator Start Kit ($1400 worth of products) for $289. Last but not least, we have this little deal that’s not yet live, so set a reminder of it if you plan to buy! Social Warfare is the plugin that Lia and I both use on our sites. The Pro version allows you to do fancy things like input a special pin graphic/description so that the share button automatically pulls up the right graphic, and all your images (even non-Pinterest optimized ones) have a keyword rich description when pinned. It’s a very handy tool and on Cyber Monday only (November 26), you can activate 50% off all new purchases with the coupon code CYMON2018, from 12:00am EST to 11:59pm EST. 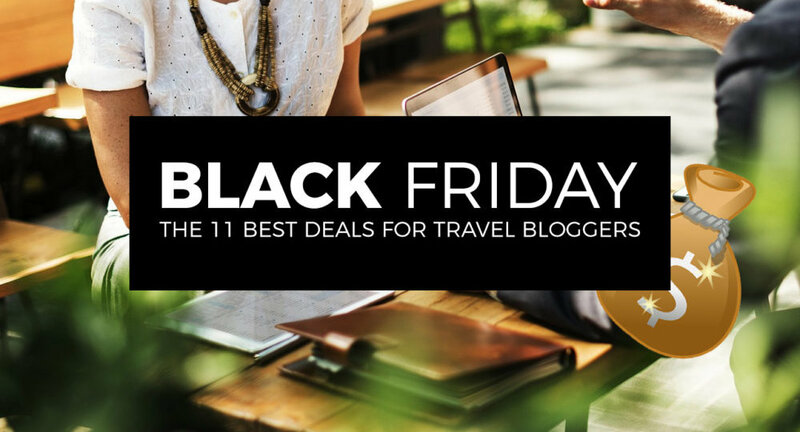 And there you have it – the best Black Friday and Cyber Monday deals for travel bloggers! Did I miss anything epic you spotted? Leave me a comment so I can add it to the list (if relevant of course). Happy shopping, slayers! Such great suggestions for blogging investments. I think I actually clicked on every single link you posted – now to decide what ones I really want to invest in! Ps. If anyone’s interested in sharing a keysearch plan account, get at me!